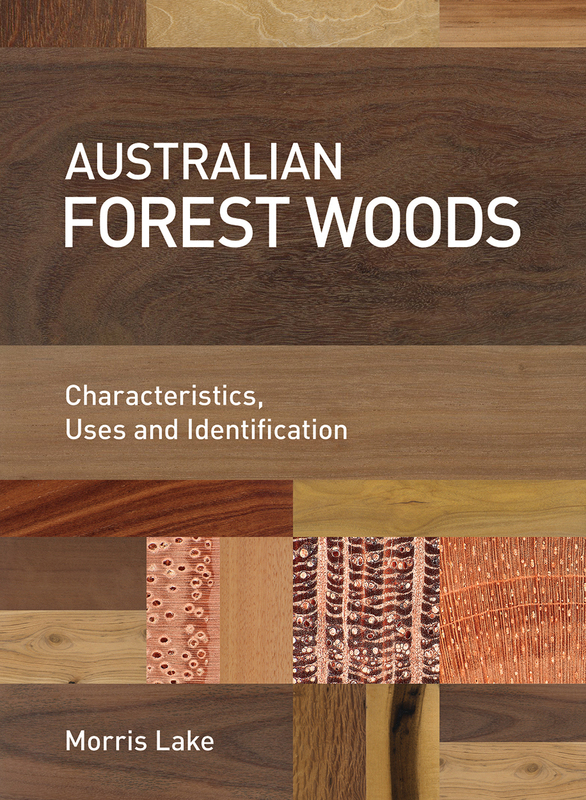 A comprehensive guide to 130 of the most significant Australian forest trees and their wood. Australian Forest Woods describes about 130 of the most significant Australian forest trees and their wood. The introductory sections introduce the reader to the uniqueness and usefulness of forest trees. The book examines the forest tree species and their wood with photographs, botanical descriptions and a summary of the characteristics of the wood. A section on wood identification includes fundamental information on tree growth and wood structure. With over 900 images, this is the most comprehensive guide ever written on Australian forest woods, both for the amateur and the professional wood enthusiast. Macrophotographs of the wood are shown in association with a physical description of wood characteristics, which will aid identification. This technique was developed by Jean-Claude Cerre, France, and his macrophotographs are included in the book. This is a classic of Australian botany. It is well organised and has good keys and photographs. This latest edition includes addendum of changes and new species. A comprehensive coverage of 900 species. Native Trees and Shrubs of South-Eastern Australia embraces an area that stretches from the Flinders and Mt Lofty Ranges in South Australia, across Victoria and southern New South Wales to the NSW South Coast. It records the land and its vegetation in a scientifically accurate, but accessible, style. Virtually all species of native trees and larger shrubs in this area are described, and their occurrences are related to the features of their environment, events of the past, geology, landforms, soil, and climatic conditions. 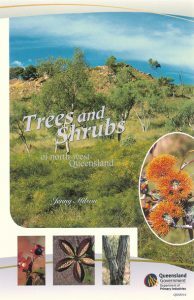 The brief descriptions of places of special interest, as well as the eight regional ‘guide-lists’ that cover the coast, hills and ranges, high-mountain country, and various inland areas, assist anyone exploring such regions to identify the trees and shrubs. OUT OF PRINT. An easy to use, well illustrated field guide for the region’s flora. Companion volume Pasture plants of North-West Queensland is also available. See Stock item 17929. Salt tolerant plants of the Western District Ramsar Lakes. Artist/Author: Beilby, Geoff et al. 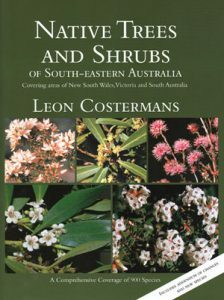 A field guide covering a wide range of salt tolerant plants of the Western District Lakes of Victoria. This district is of international Ramsar significance. The guide is not only a valuable reference for landholders and land managers but also a general guide to assist those interested in furthering their knowledge of plants able to survive in a harsh salty environment. One of the features of this field guide is that it identifies the indigenous plant species, the exotic weed species and the non-indigenous natives that are proven to survive in the region’s saline conditions. It is also invaluable to identify salt tolerant plants beyond the region. 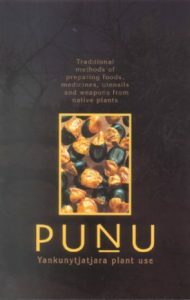 Punu Yankunytjatjara plant use: traditional methods of preparing foods, medicines, utensils and weapons from native plants. Artist/Author: Goddard, Cliff and Arpad Kalotas, editors. In this book elders of the Mimili community present the plants that grow on their country in Central Australia and tell how they have been used to provide the necessities for traditional life. The Yankunytjatjara text is accompanied by an English translation and detailed botanical drawings.